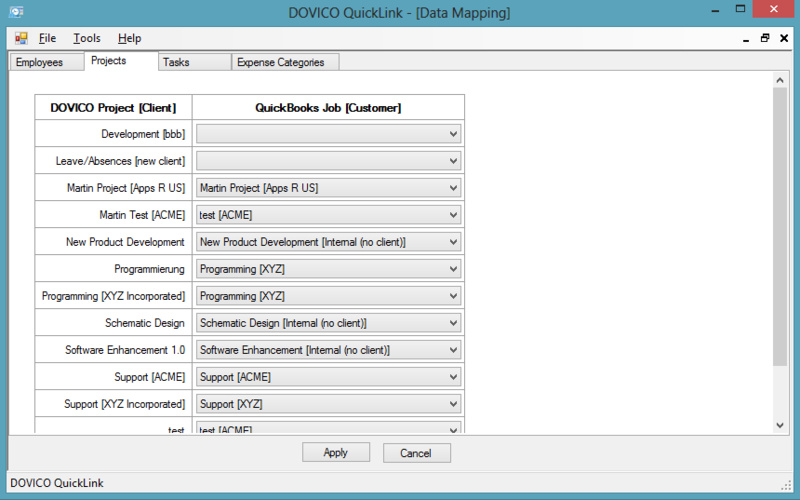 Link to your installed QuickBooks easily with QuickLink! 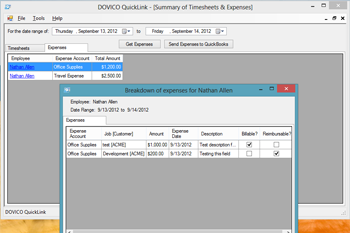 QuickLink provides a simple way for you to send employee time and expenses directly into your Intuit accounting software. 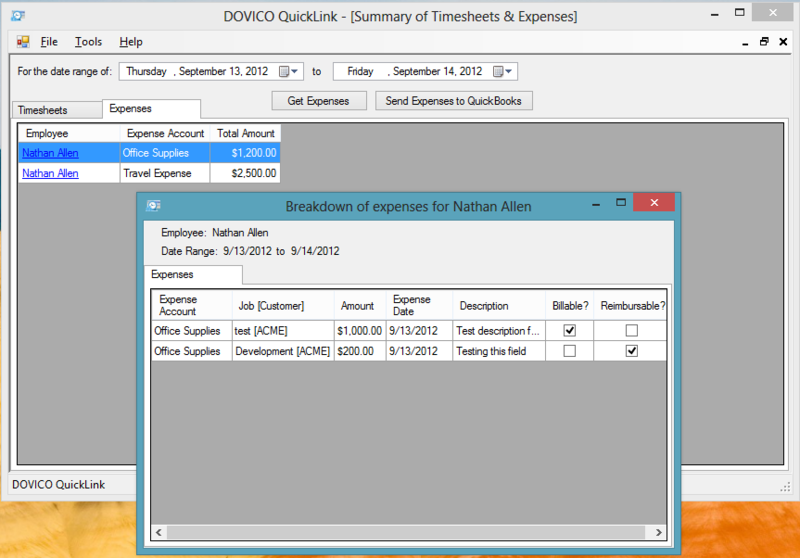 Time entries can then be used to invoice customers or pay employees directly from QuickBooks. 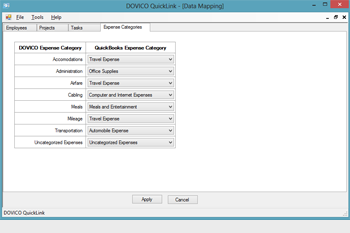 While expenses can be used to reimburse employees for their out of pocket expenditures etc. 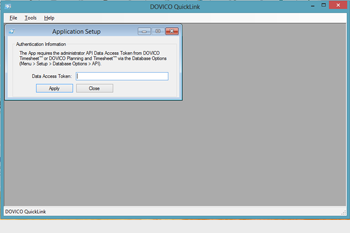 Please note: QuickLinks doesn't support Quickbooks Online. 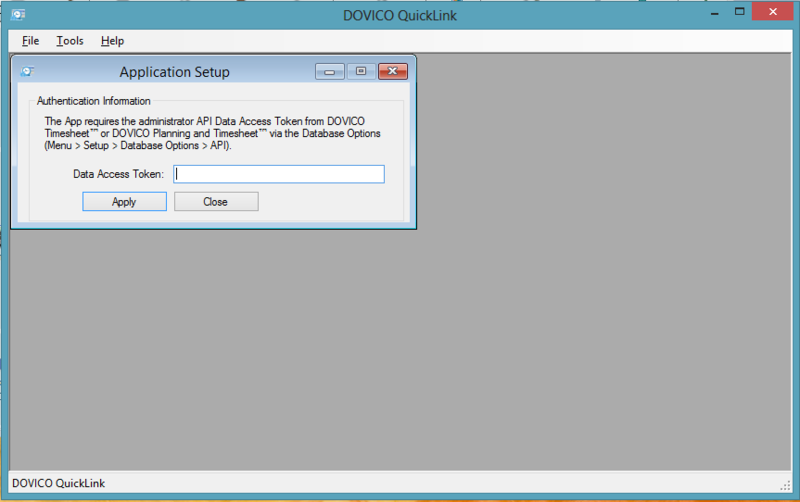 This App may only be utilized with the Administrator API tokens from Dovico Timesheet™ which is available via the Database Options (Menu > Setup > Database Options>API). If you do not see the ability to retrieve a token then your company may not have enabled the API or your company is using the installed version of the software. QuickBooks 2010 or higher * Some versions of QuickBooks are not supported including Quickbooks Online, QuickBooks Mac, QuickBooks Basic, UK Simple Start edition, UK regular editions, and the Canadian QuickBooks Easy Start Edition. 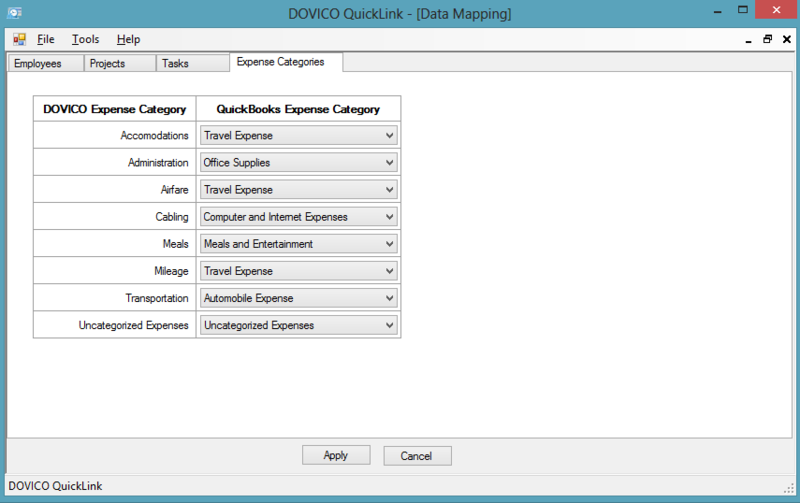 (For UK use QuickBooks Pro and QuickBooks Accountant). 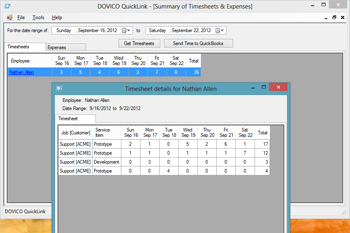 09/02/2014 - You may now view the Dovico Timesheet Task Assignments within the Task Mapping View so mapping tasks will be easier. 07/02/2014 - Updated to use the latest Intuit QuickBooks SDK Version 13.0 to support newer versions of QuickBooks. 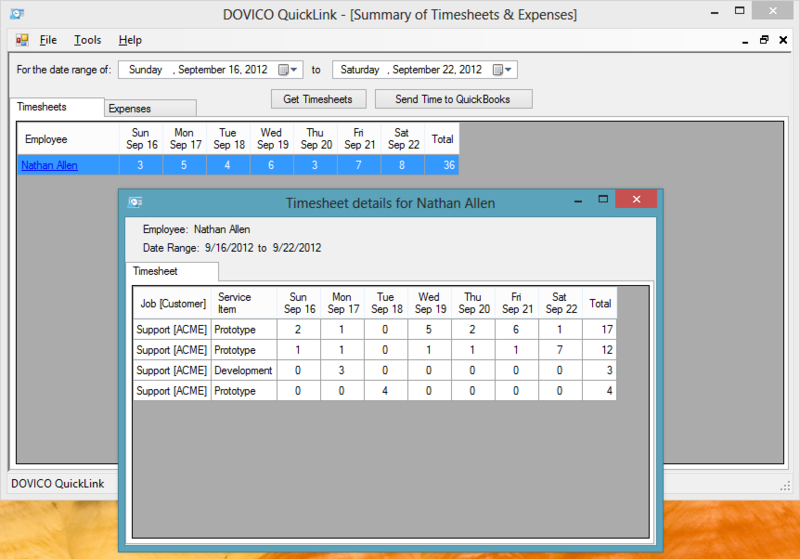 01/07/2013 - Minor enhancement to add a Status Bar during load of QuickBooks/Dovico items. 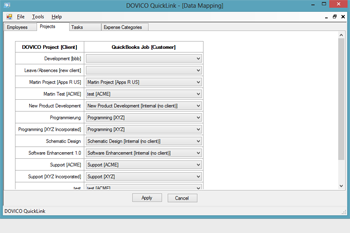 The source code and technical design documentation for the QuickLink App is available to developers (please e-mail apps@dovico.com for further discussion). This allows you to modify the App to match your companies specific requirements. Or the source code may be used as a template for creating a new integration App to your favorite CRM, ERP or other software (ex. Salesforce, Microsoft Dynamics, MYOB, Sage, etc.). Xinfosystems specializes in the creation of unique solutions for specialized requirements. They are experienced developers of custom applications software that integrates into QuickBooks, the most popular accounting software for small and medium businesses.